Number of Times to Chant Maha Mrityunjaya Mantra? – How to Chant Maha Mrityunjaya? Maha Mrityunjaya Mantra should be chanted daily in the morning or during Pradosham period (the 1.5-hour period before sunset). Maha Mrityunjaya Mantra is part of the Rig Veda and it is chanted for overcoming the fear of death and for long life. Here is an idea as to the number of times Maha Mrityunjaya Mantra should be chanted. You can also read about a brief idea on how to chant the mantra. The person having fear of death should chant the mantra daily 51 times in the morning. For long life one should chant the mantra 108 times X 3 daily during Pradosh period. For peace, prosperity and all round progress in life the mantra should be chanted on Monday 108 times. For early curing to a life threatening disease the mantra should chanted or listened to as many times as possible. There is no need to keep count. 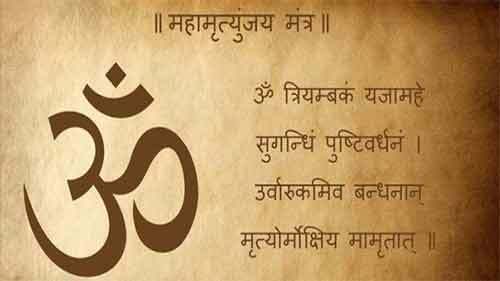 How to Chant Maha Mrityunjaya Mantra? Offer prayers to Ganesha in mind. Sit facing east or northeast direction. Light a lamp using cow ghee with a single wick. Then offer prayers to Shiva. Next chant the Maha Mrityunjaya Mantra. While chanting the mantra one should have single minded focus. The mind should not wander here and there. You can keep the count of Maha Mrityunjaya Mantra on a rudraksha mala. One should not advertise that one is chanting Maha Mrityunjaya Mantra. It should be kept secret. Do not create complicated rituals etc while chanting the mantra. Keep it simple and concentrate on the mantra. Feel the vibration of it. Women can chant the mantra even when they have monthly periods. There is no restriction in chanting the mantra. Anyone can chant the mantra. To a mantra to be effective one should have utmost concentration.